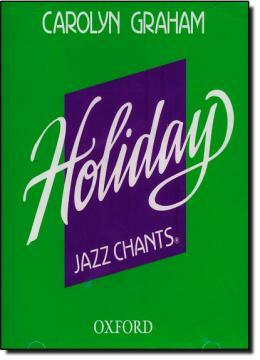 * Holiday Jazz Chants is a collection of 50 songs and chants celebrating major holidays in the United States. * Organized according to the calendar year, the provides four to five thematic songs or chants for each month from January through December. * Holidays include Valentine s Day, Mother s Day, Thanksgiving and many more. * The chants and songs teach vocabulary, expressions, and language functions associated with each holiday, as well as interesting cultural traditions.